It is hard to imagine Death Valley, this rocky, dry and hot location in full bloom. Experts are saying that 2005 was one of this special year where the climat (amount of rain, temperature, wind) was perfect to display the best bloom in the past 100 years. 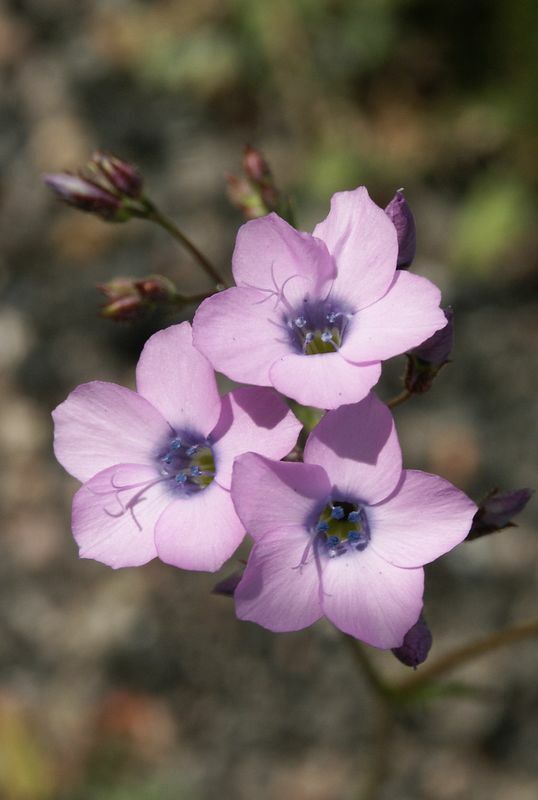 Davy Gilia: 5 petaled flower; blue on outside, pink and white on inside with black throats; 8" to 14" tall; leaves basel notched.